Ultrx was a short-lived Sanyo line, much like Centrex/Pioneer. 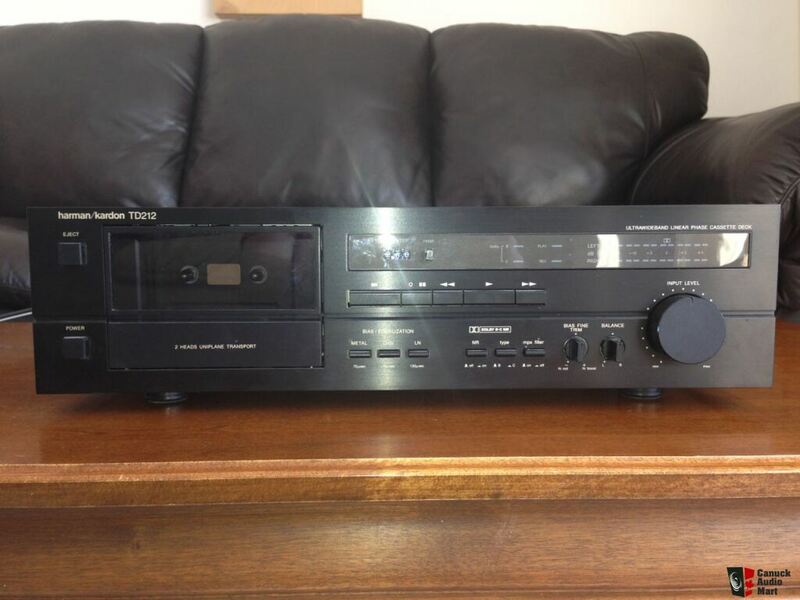 They had a dual cassette deck and I think a casseiver as well. It wasn't HarvestmanMan, was it? So is it a good deck? If Doity sold it to you, it won't be junk. And it's a Sanyo. My friend Cory brought me an MR-939 small reel to reel deck to check out once, it was pretty nice given it's age and I hated to have to return it to him. I'll take an average deck that works well over a higher end model that spits and coughs. I'm sure it will be more than fine for what you intend to use it for. Bring out all your pre-recorded 80's cassettes, Ron. Well put Nando. My KX-800u seems to be more fussy as it ages, where as the Sony deck I picked up from John a couple years back is a tank. I use it more than the Yamaha anymore. As fancy as it is, it only seems to like tapes, it records. That Keith Richards tape you sent sounded damn fine in the Sony. Ben, Ron: As much as I like to consider specs to get a handle on what to expect from a cassette deck's performance, there's more to it than simply the numbers. I have a number of decks that don't have exceptional specs, but I've created plenty of mix tapes on them that would have you believe they were recorded on something much better. That Keith Richards tape gets lots of play at home and in the car. Glad you like it, Ben. I have an innocent looking Akai HX-2 that doesn't scream beauty but it makes wonderful recordings consistently, and no, there is no HX in it. It's just fun to use it. Vintage upscale Sanyo gear is waaaay underrated, I bet it specs out average but, sounds very nice...Free makes it even nicer, nice grab Ron!! I saw a cassette deck at Stephens yesterday that I had never heard of, an. ONKYO TA-2080. He had them from his stereo store days and they were used to make demo tapes for the stores, he said they were the best recording cassette decks there was. Did you get a chance to try this deck out, Ron? Just found another deck at the thrift store for $21.40. It's a Yamaha KX-380. It looked to be in good condition and I tried it out at the store before taking it home. Playing an old mix tape of Rolling Stones and Led Zeppelin. I will get it cleaned up and post a few pictures of it. This is the first deck that I've owned that has the Play Trim feature. If it's fairly near spec and functioning normally, you'll like that one my Elite-ist friend. I just popped the bonnet on it and it's clean as can be. Belts look to be in great condition and it has a simple modular layout. It looks very easy to service. I demagnetized the heads and cleaned the tape path. Judging by the look of the heads, pinch roller, and capstan, it doesn't seem to have many hours on it.